Here’s our wonderful WEG (work experience girl) Michelle, from Robert Gorden University in Scotland, to wax lyrical about our 2nd annual art competition, and to spill the beans on our next extraordinary sample sale. Throughout my time at Tammam, I have been working hard to help organise this year’s exciting A Sustainable World competition. After the incredible success of last year’s art competition, we are once again opening the atelier doors to the creatives of London and beyond to find a designer to completely transform the interior of the couture showroom. This year, entrants can be inspired by the glamorous ‘hey – day’ of our home, Bloomsbury. Bloomsbury has an amazing history in literature and is known worldwide for its lavish parties (which I would have loved to attend) and forward thinking residents, we would like our new showroom to reflect this heritage and display our beautiful contemporary designs using vintage techniques and materials. Their designs must also create space to display all of our ranges, including haute couture evening gowns, couture bridal wear, couture day wear and tailoring, as well as a space for our very exciting brand new LBD line. As always, to make the competition truly Tammam, all materials used must be reclaimed, eco or sustainable. I am also very excited as Earthborn paints are sponsors of the competition this year! 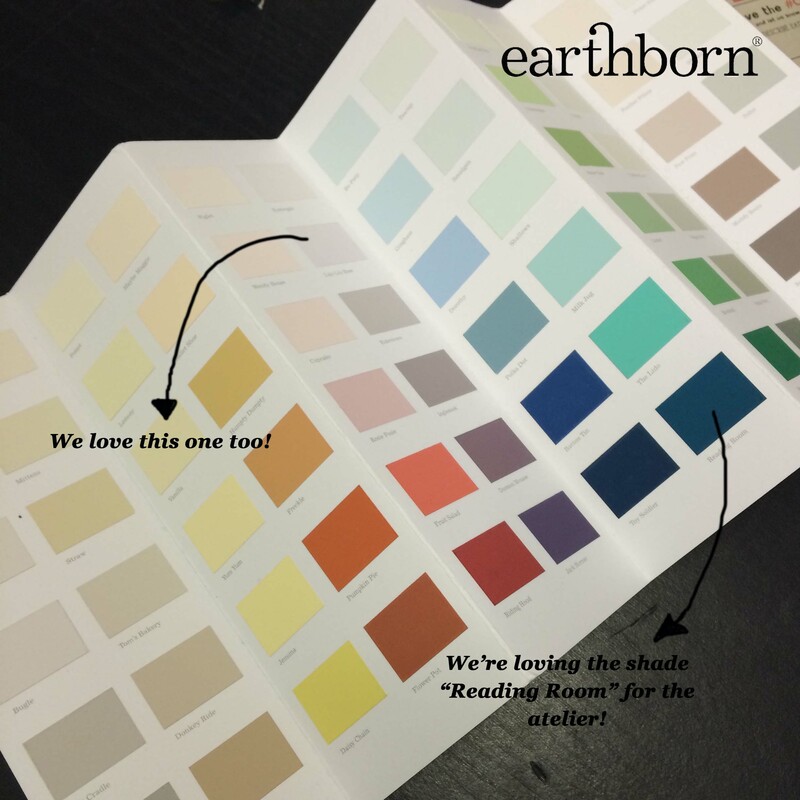 As well as having an amazing colour range (we all particularly love the shade “Reading Room”) Earthborn offer clay based paints, which means they use eco alternatives to traditional paint ingredients, making them 100% sustainable and eco-friendly, which we love! The newly designed atelier will be open in May, but get those entries in quick as the competition closes on March 29th, just 9 days away! Let any budding designers know, they can enter here. After the winners of the competition have been announced, the showroom will play host to the Great Easter Sample Sale, which I have also been working on. 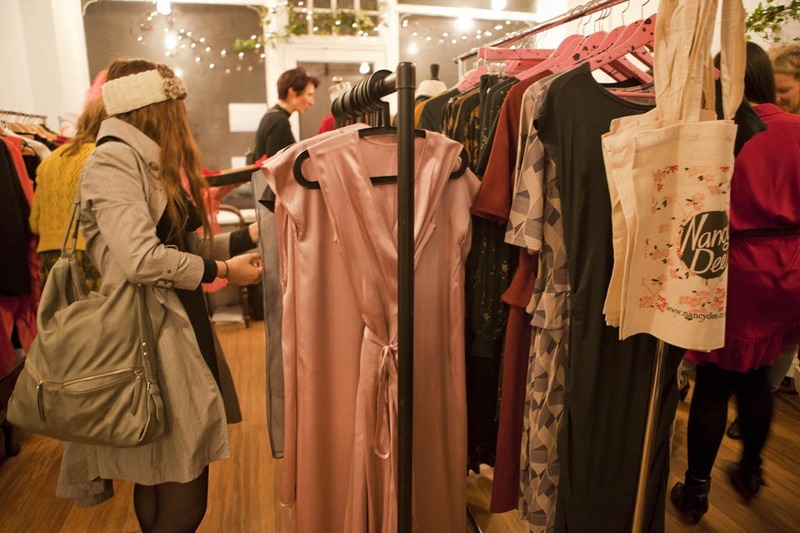 The sale will see some of the best eco, vegan and sustainable designers such as Outsider, Nancy Dee, Kiboots, Matt & Nat and Makepiece set up shop in the Tammam showroom to sell their rare, past season and sample stock at amazing discounts of up to 80% off! If you would like to grab an exclusive ethical bargain, the sale will run from the 3rd to the 18th of April and we would love to see you there! After the sale draws to a close, it will be operation renovation for everyone in Team Tammam as the new showroom begins to take shape. Make sure to keep an eye on the Tammam Twitter and Instagram pages as I’ll be documenting the transformation on them daily….